I guess you could say I’ve always been creative. After leaving sixth form, I wanted to get into the industry like my older sister. My parents believed that I should follow on to university. I went to Cardiff, to study a Product Design Degree. Where I ended up getting a part time job within a cosmetic chain. I then went on to Bobbi Brown; Bobbi Brown has taught me so much as an artist, but equally her philosophy has inspired me into the person I am today. With a graphics degree behind my belt, 9 years experience and a website, I’m here! I wouldn’t have changed a second! Being apart of a bridal party is the closest feeling of what you would imagine feeling like on your own wedding. All very different, but all full with the same emotion of lots of love! It’s an honor being apart of it, and helping making you guys feel beautiful and confident is an incredible feeling. I hold that very close to my heart. 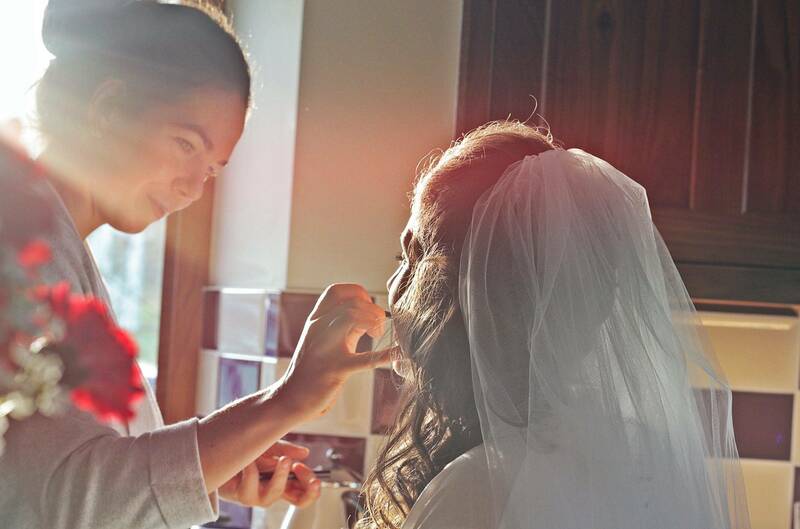 "Jessie was absolutely amazing, she had so much patience in understanding what I wanted in my makeup. I’ve got oily skin, and wanted something that I didn’t need to worry about all day. It worked so well, and looked amazing on the camera! Thank you Jess, I will always appreciate it!"